I’ve been very fortunate to have benefited a lot from my blog in the two years that it’s been established. One of the main differences it’s made to my life is the ability to have joined my marketing and brand experience with my knowledge of social media. A little over a year ago I became a social media manager at a great agency, and now manage a team delivering social campaigns and community management for some great brands. I was recruiting for a new team member recently and received a lot of CVs and applications; the standard overall was so bad I asked if a post detailing the best way to approach a CV would be useful. The result was an outstanding yes, so here are my top tips for selling yourself and getting that job you really want. 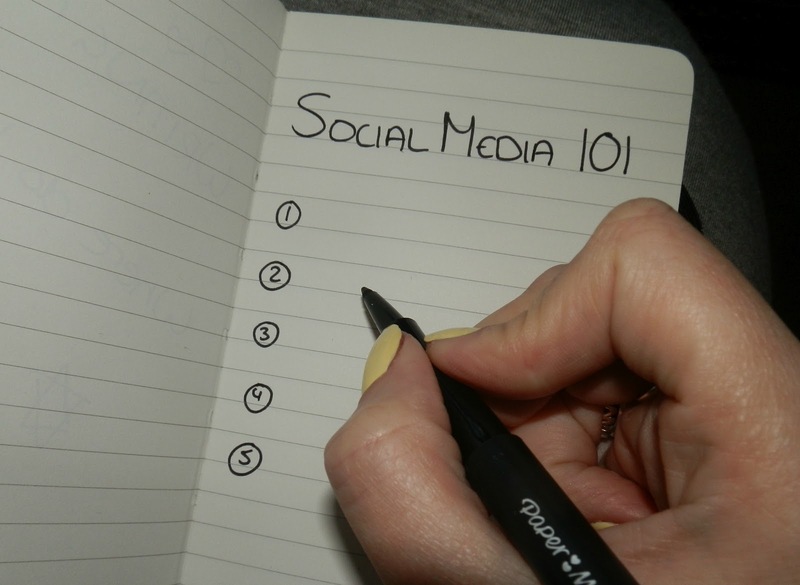 If you’re reading this blog then you’re aware of social media. If you have a Facebook, Twitter or Pinterest account then you understand social media. You don’t have to have a degree in a subject to have knowledge in it, so don’t sell yourself short. The amount of CVs I’ve had recently applying for a job without even a sprinkle of social media content is, quite frankly, shocking. You wouldn’t apply to be a lawyer without including some lawyer shizzle in your CV, so why on earth would you write a CV trying to enter the industry without even mentioning the words ‘social media’. If you have a blog or active social media accounts then dedicate room to explaining what you do, how you use them and how you built up a following. If you don’t have anything particularly active then at least be prepared to talk about what you love about social media and why you want to work in the industry. Not many people actually have experience working in social media because it’s all so new, but you do have experience that could be relevant or has taught you skills to exploit. I interviewed an extremely enthusiastic young lady last week who had absolutely zero experience in social media, but she was upfront and explained that. What she did do impeccably well though was to use her time working in a phone shop to talk about how she’s focused on building relationships, listening to customers, forging communities and using rewards – all of which for the basis of social media as we know it. Think about how what you’ve been involved in before and how it could be related to the online world. Imagine yourself in your potential employer’s shoes and imagine what you’d like to hear. There’s no point telling them about how ‘social media is the way forward’ and how it’s ‘something I feel like I should be part of’ because that won’t wash. Write a cracking personal statement at the start of your CV which outlines what you’re like as a person, what positive things colleagues and classmates have to say about you and what you’d bring to the workplace. Be it a passion for writing, a thirst for knowledge, the need for perfection or being great at working in a team… We all have unique things that make us more employable. Do not, under any circumstances, email a CV without either including a cover letter or a pretty darn good email to accompany it. Don’t just send an email saying ‘please find attached my CV’, or worse just email it with no text at all – it just says that you’re lazy, aren’t really interested in the job and can’t be bothered to tailor an email. Nine times out of ten, unless you’ve got a cracking CV, your application is going straight in the trash basket. Explain who you are, what you’re applying for and give a topline overview of the content in your CV – give details of what you’ve done, why you’d be good in the job and most importantly what you have to offer. If you want to work in the industry then ensure you know what you’re talking about. Research some well known brands, look at their Facebook pages and analyse how they use social media. Be prepared to give good and bad examples, talk about who you admire and provide commentary on recent campaigns. So many times when I’ve asked candidates to provide an example of something and they’ve talked about their mate or the most obvious thing they can think of… It’s painful. Being prepared goes a long, long, way. It’s not just to list the jobs you’ve had (because nobody really cares you’ve worked in Pizza Hut,) but to sell yourself and your experience. If you’re a recent graduate start with the most relevant pieces of work you’ve done, projects you’ve worked on, placements or internships that you’ve undertaken; employers will be more impressed with that than the fact you’ve done a summer working in Waitrose and served up some roasts in The Queen Vic. It’s not supposed to be a list, so make it worth reading… It’s the one opportunity you have, so don’t waste it. If you want to ask any questions then I’m more than happy to answer them in the comments below. What are your top tips or biggest fears about writing a CV or applying for a job? This post is amazing and thank you for the advice. I'm a student now but I really want to work in UK (I'm from Vietnam!) so writing a CV is very important to me, in my country a CV means nothing so I never know how to write it :(But only one thing always make me worry. The cover letter. I've always wanted to write it really honest and personally, but maybe the employers don't like it? Maybe they want something more "academic"? I always think the cover letter is where I show my personality to employer but I'm just afraid which way will be better. What do you think? Thank you again! Maya – You're very welcome and good luck with your search! Hope you're all good now : ) Littleskull – Totally let your personality shine through. Your CV is formal so say everything you don't have the chance to say there in your covering letter. This was really helpful, thank you for taking the time to write it. I am a PR graduate, I did my dissertation on the effects of social media on PR and this is definitely an area I am interested in working in. I am currently in a temporary admin contract but I really need to revamp my CV so I can apply to more suited roles when it ends. My biggest worry is writing too much on the CV – I have always stuck to one page as I have frequently been told that employers prefer that – however I can never fit all that I want to say in it! What would you say, RE CV length? Lydia – One page is nowhere near enough to sell your skills. I always say a double page of A4 is sufficient, any more and it's getting a bit laborious to read. Use the first half to give personal details/a statement/qualifications and the second half your experience. Thanks for sharing, I recently came across this article and have been reading along. This is a great post and contains fantastic contents. Your post contains a lot of valuable information as well. There are lots of online resources like http://www.samplecvexamples.com/ which help me last few years to gives me a lot of courage in building my career. Thanks again…!!! Very interesting post! Thank you!